Aberdovey Places to Stay…. 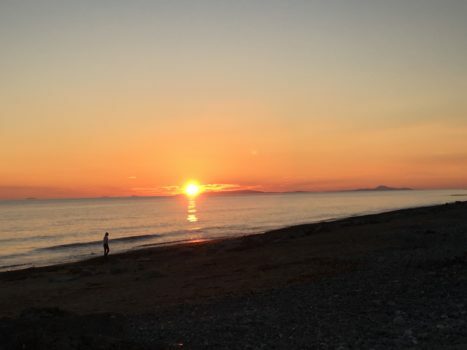 Looking for a Last Minute Holiday in Aberdovey for TWO OR FOUR PEOPLE… view our LATE AVAILABILITY now, book an Aberdovey Break, and come and see the glorious sunsets along the Cardigan Bay Coastline for yourself!! Spinnaker Luxury Sea View a FABULOUS second floor SEA FRONT APARTMENT overlooking the stunning Dyfi Estuary and opposite the golden sandy beach of Aberdovey. Spinnaker is furnished to a very HIGH STANDARD with lounge and kitchen, bathroom and rear double bedroom and double sofa bed option in the lounge included when booking for more than 2 guests. Sorry no pets. Take a look and see why guests just love to return to Spinnaker…. Min y Mor 5 Sea View a ROMANTIC BOLT HOLE overlooking Aberdovey Beach…. what better place to relax and unwind? With lounge, kitchen, bathroom and bedroom with 6ft wide bed and double sofa bed option in the lounge included when booking for more than 2 guests.